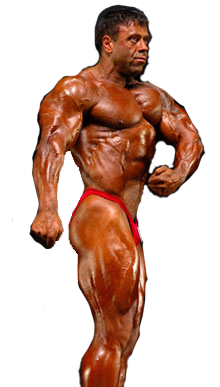 My name is Darren Toma the founder and owner of Custom-Built Training and Nutrition which was started in the year 2000. It has now grown into a thriving training business that provides top notch contest prep coaching for athletes ranging from novice amateur to intermediate national level athletes and professional athletes in the IFBB Pro league. Custom built training and nutrition also specializes in sports specific nutrition for sports minded athletes that want to take their sport to the next level through proper diet and supplement programming. Check out the sports nutrition section for more info on what we offer. 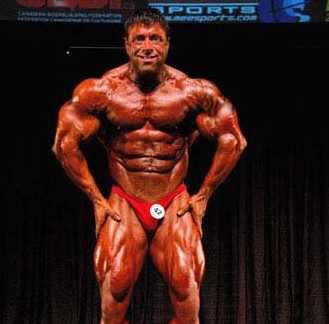 I am the 2006 Canadian National Bodybuilding Champion and a retired IFBB Pro. I competed in over 20 contests winning multiple regional and state and national titles over a 16-year span and I have over 25 years’ experience in the competitive industry. I competed in IFBB affiliated contests in Canada,NPC USA and Europe. I was also a provincial/national level contest judge for competitions for 5 years. I have been a Reflex Supplement store owner since 2007 we provide leading edge sports supplements for all athletes and health minded individuals. Over all my years competing I have also had the opportunity to be personally trained and coached by some of the best and most knowledgeable trainers and nutritionists in the world. I am a certified Specialist in Sports Nutrition and I have trained and helped thousands of athletes since 2000 with great success with hundreds of wins and countless overall wins. In Regional, National and International shows with also multiple top 5 IFBB pro wins with my clients. Having competed myself for many year’s I understand all the blood, sweat and tears that goes into competing. Over the years I have learned and attained vast knowledge in contest prep strategies that are leading edge and used by top-level athletes in the world. I take a lot of pride in passing all my years of experience and knowledge onto others and helping them achieve their competitive goals. I specialize in Bikini, Figure, Bodybuilding, Women’s and men’s Physique and Classic Physique contest prep and offseason programs. Every workout or nutrition plan is designed for each individual person to help them achieve their personal best in their chosen category and reach their goals. It is very important to have a good coach in your corner, someone with a good eye with vast experience and someone who is qualified and has extensive knowledge in this competitive arena to help bring you to your genetic potential. I feel very confident that I provide all my athletes with the proper knowledge and tools to perform at the highest levels. Please check out my client’s page or read some of my testimonials to get an idea of the level of some of the athletes that I have trained over the years from amateur to pro. Another coach on this team is Lara Toma who is the posing and presentation coach and a certified trainer and nutritionist herself. She has over 25 years’ experience and has also competed for over 15 years with great success. She has won numerous regional, state and provincial and National titles in both figure and bikini. Lara was also a provincial/National level competition judge for 5 years and has vast knowledge in the sport. She is a huge asset to this team and plays a big role. Helping and teaching all our clients amateur to pro with their posing and presentation getting them ready for the stage. She runs our weekly posing clinics and is also available for one on one posing sessions for our competitive team athletes. Please email us for more info in how to connect with Lara for personal one on one posing sessions. If you’re serious about your competition goals and you’re looking for coaches with the years of experience and knowledge that will provide you with professional guidance to compete at the highest level. Then Team Custom Built Training and Nutrition is for you.